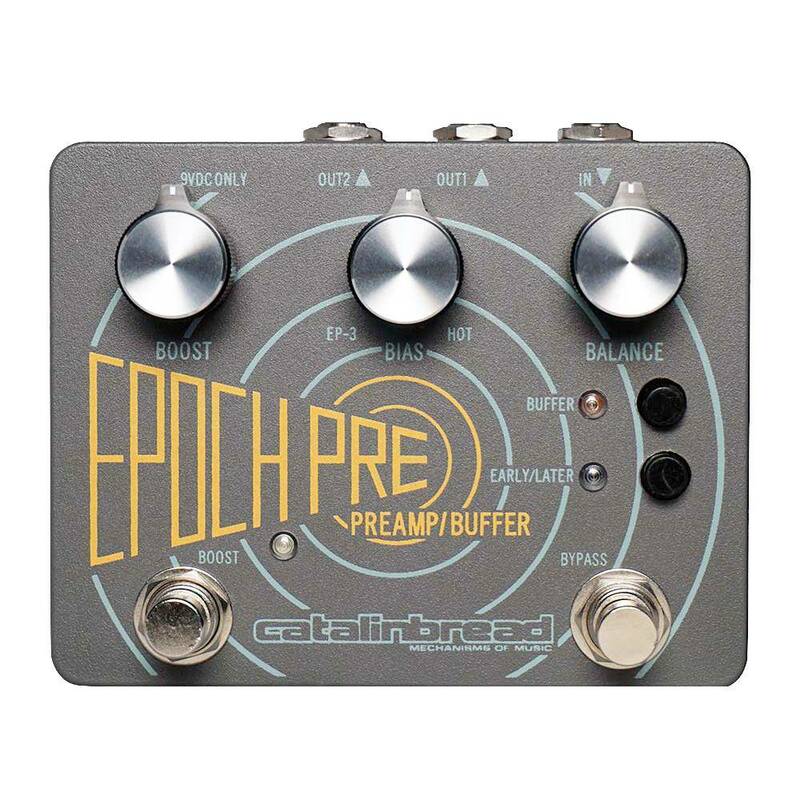 The Epoch Pre was modeled after the exact preamp circuit from the original EP-3, from the 22v power supply to the JFET preamp, to the circuit loading contributed by the echo function. 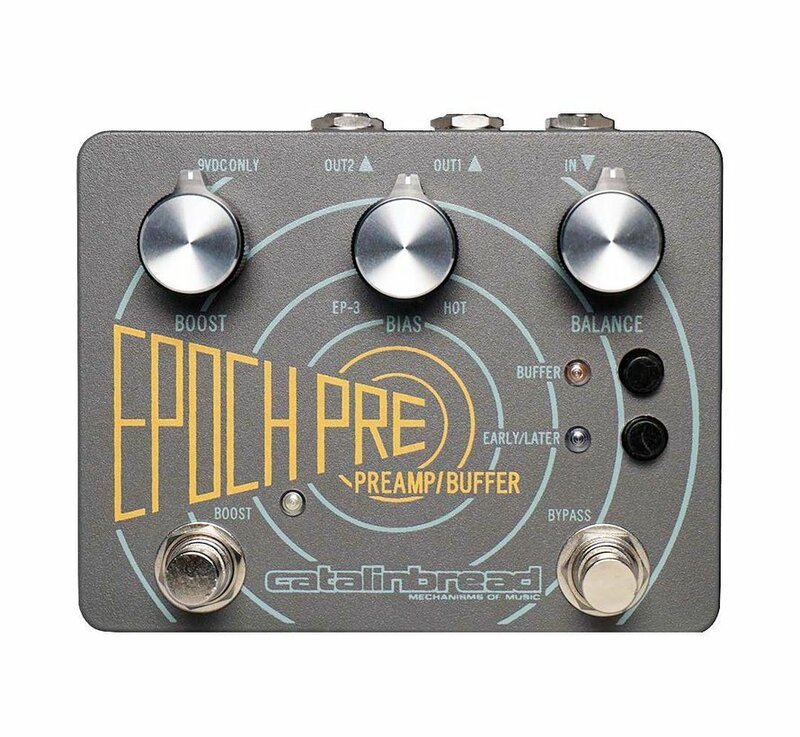 Not only does it provide boost it acts like a mastering plug-in on the master fader - making your whole pedalboard sounds bigger, lusher, wider, the Epoch Pre can bundle all the frequencies without squishing them like a compressor ! Accepts standard 9v pedal power supply but converts it to 22v internally. 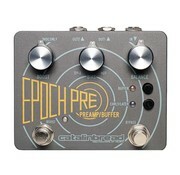 Epoch Pre has two outputs to drive different pedal chains or two amps. Discrete silicon transistor buffer, high headroom.